Looking to cut down your driving time? Looking for location, location, location, plus design? 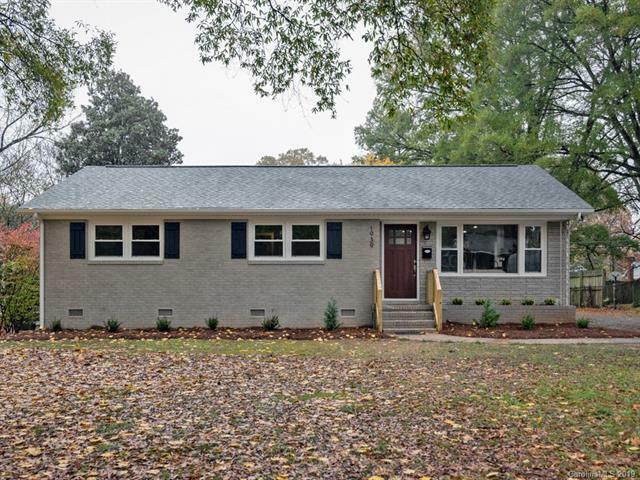 Heres the home for you; located in Country Club Heights and just minutes to NoDa, Plaza Midwood, and UpTown! This meticulously modernized ranch has been elevated with an open, airy floorplan, granite and quartz counters, designer lighting, and expansive deck. This home is a peaceful space away from bustling lifestyles. It has been thoughtfully designed to rejuvenate and re-energize its owners who can easily flow from working in the sun-bathed den, to entertaining in the open kitchen, to unwinding in the sleek master bath. Let this beautiful home relax you after a long week of work or refresh your energy for enjoying the hot spots of Charlotte. Whatever your plans hold, this home will boost your day!